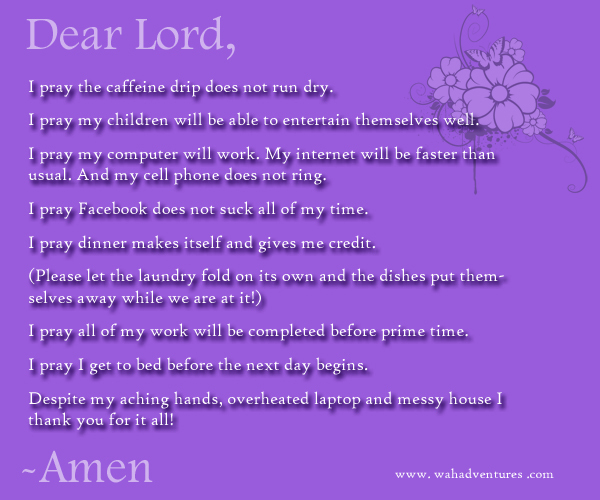 Having trouble viewing the Daily Work at Home Prayer? Click Here for another version. That is great! Too true! Miranda. You have no idea about how much I love this! I actually did come up with it myself ! I had fun making it. Very good… love to see the creativity. I may have to do a daily prayer for work at home non-moms now… lol. Going to have to do some thinking on that one though….